The leading lady of Tamil cinema has no idea of slowing down her pace. The actress who is known as the Lady Super star in Kollywood seems to be in plans to become the Lady Super star of South film industry. This year the actress is lining up with multi language releases Sye Raa Narasimha Reddy co starring with Chiranjeevi in Telugu and Love Action Drama co starring with Nivin Pauly in Malayalam. Currently, the actress is busy shooting for the movie Love Action Drama which has been going on in a full swing. After their successful completion of their first schedule shoot in Kerala the unit has moved to Chennai to get their second schedule rolling. The movie is said to be a sequel of super hit movie Vadakkunokkiyanthram. Popular actor Dhyan Sreenivasan is making his debut as a director through the film. This flick is expected to hit the screens later this year and probably will be the actress’s next. It is said that the unit had already completed greater fraction of the film but due to some changes in the script at the very end they had to reshoot a large portion of the film again. The film that went on floor last year has now taken place with the film shoot in Kerala first, then in Bangalore and now the Chennai schedule is also said to be wrapped up soon. 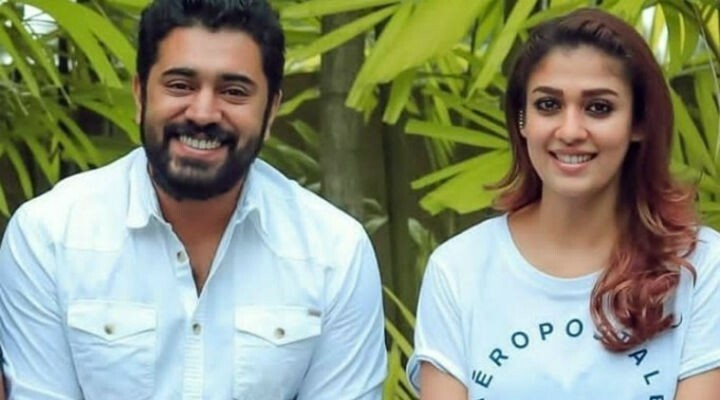 Apart from Nivin Pauly and Nayanthara the film will have Durga Krishna and Aju Varghese portraying pivotal roles. The flick is bankrolled by Aju Varghese, Visakh Subramaniam and M star productions. Dhyan Sreenivasan’s brother actor and director Vineeth Sreenivasan has penned down the lyrics for the film while the music for the film is composed by Shan Rahman. The cinematography for the film is done by Sreenivas Reddy while Vivek Harshan will be trimming the film. On the work front, the actress is currently gearing up for the release of her film Mr. Local with actor Sivakarthikeyan and is quite busy shooting for Love Action Drama and Sye Raa Narasimha Reddy simultaneously. Apart from this she has inked her signature for Vijay’s next with director Atlee and she has also agreed to play the leading lady of Super star Rajinikanth in Darbar, which will be directed by controvertial director AR Murugadoss. Apart from this the actress has Kolaiyuthir Kaalam, Kottayam Kurbana in her kitty.